More than 55,000 West Sussex homes and businesses now have access to faster broadband thanks to multi million pound partnership. 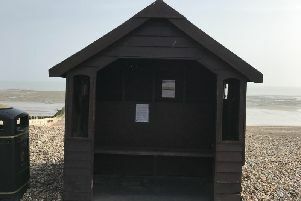 A number of villages have benefitted from the Better Connected West Sussex Broadband partnership between West Sussex County Council, BT and the Government’s Broadband Delivery UK initiative. Wisborough Green is one of the places enjoying the benefits of high-speed fibre broadband with nearly half of all homes and businesses taking up new services. Alan Self, of Wisborough Green Stores, said: “I was one of the first to be connected and I get an amazing download speed of 70Mbps. “My tills are connected to the internet, I order my stock online and I’m also looking into taking orders from customers online as well. The Better Connected broadband partnership has already made high-speed fibre broadband available to more than 55,000 homes and businesses in West Sussex. Stacey King, BT’s regional partnership director for the South East, added: “We’re delighted that high-speed broadband has been a success for Wisborough Green. Faster broadband has proved that it helps local businesses grow, attracting investment and boosting the local economy. West Sussex Council is investing £6.26m in the project, BT £7.6m and the government’s Broadband Delivery UK programme £6.76m. The new fibre-based network is open to all broadband providers on an equal wholesale basis, so local households and businesses can benefit from competitive products and pricing from a wide range of broadband providers.